FIFA to discuss Israel vs Palestine match? The president of the Israeli Football Association has suggested the staging of a match between Israel and Palestine could be beneficial for showing how the two nations can live peacefully side by side. 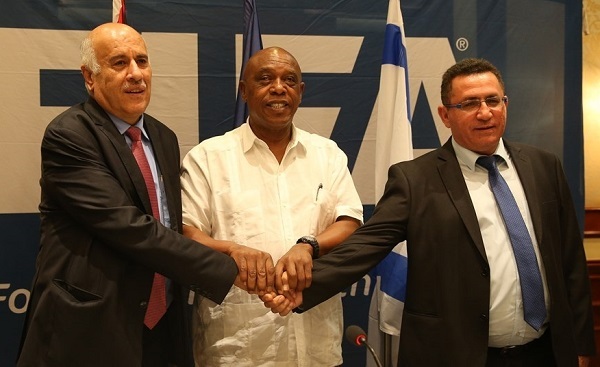 Ofer Eini was speaking after the staging of the second FIFA Monitoring Committee Israel-Palestine meeting, where he was joined by his Palestinian counterpart Jibril Rajoub, and chaired by FIFA’s Tokwo Sexwale.